In the world of construction, structural repair is a technical term. It includes any change made to a property to ensure higher safety standards. Unlike renovations, they add little value to a property. But, they are necessary for keeping your home and your family members safe. The only way to really know what’s wrong with your home, when it’s not obvious to the eye, is to hire a general contractor who is skilled in repairing structural damages. More importantly, choose a company who will execute the project with perfect attention to detail. Pour Concrete is the professional company of choice to handle these difficult challenges. Repair and strengthen your home’s structure with the professionals at Pour Concrete. We are well versed in diagnosing and repairing structural damages that happen due to various reasons. It is a common knowledge that you should never ignore a recurring problem. Do not procrastinate about completing a repair that seems miniscule in nature. For example, you may think that a water leakage in the basement is not a big problem. But, in reality, the inflow of water may cause damage the foundation of your home. In such a situation, you will have to spend several thousand dollars on repairing it. So, it is wise to take care of a problem immediately. A structural repair is like solving a puzzle. If you want to fix the problem, find out the root and the underlying cause to prevent it from happening again. When it comes to comprehensive structural repair, call Pour Concrete. Poor repair jobs often create more problems down the road. 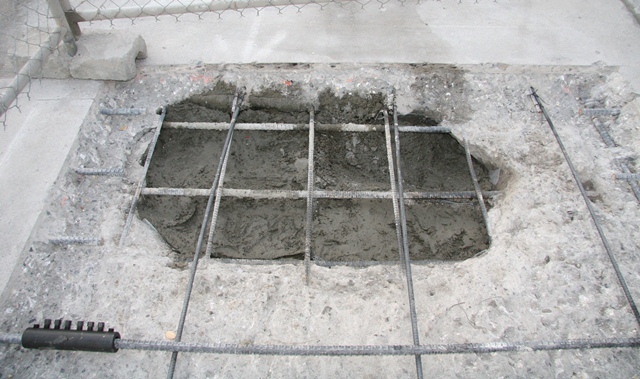 When you want a repair done effectively, efficiently and professionally, trust Pour Concrete. We make sure that every repair is completed with high standards of service. If you’ve noticed a structural problem, it is best to take care of it before it jeopardizes the stability and safety of your home. Our knowledgeable staff possesses the know-how to stabilize and repair any home structure that has been compromised. We will assess the situation and address the underlying issues immediately. Much like people, the structural integrity of homes can be compromised as a result of age and unexpected incidents. Special treatment is required to repair and restore the integrity of the structure. And, at Pour Concrete, we give your home the special treatment that it deserves.